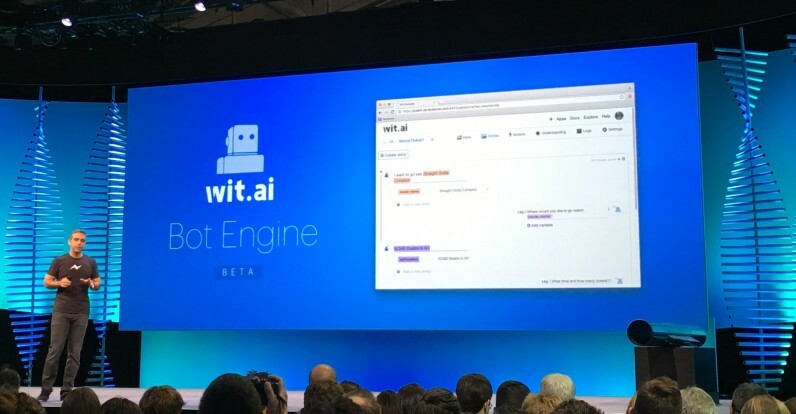 Facebook is opening up its M platform, calling it wit.ai, and letting developers build powerful AI for use as a bot. Much as Microsoft announced at Build, the M bot platform will allow developers to pre-fab conversations or catchphrases which will return a response. If a user typed “I’m really hungry” to an app for a pizza restaurant, the bot may then ask “your usual, then?” as a static response. From there, it’s possible to either have a richer conversation with the bot — depending on what the developer has built into M — or just have the pizza delivered straight away. It’ll take a lot of heavy lifting from developers, as every interaction needs to be granularly built. But, we’re still in early days with our interactions with AI, so there’s likely not a lot of clever things users would ask. Even then, it’s possible to build out a safeguard like Siri’s ‘here’s what I found for you on the Web’ answer. The platform is open today, so if you’re interested in building your own interactive bot for an app, get crackin’.